Discussion in 'Transformers Fan Art' started by Ravenxl7, Mar 3, 2008. Hey all. Was just bored and decided to see how Sentinel would look in his G1 counterparts colors. 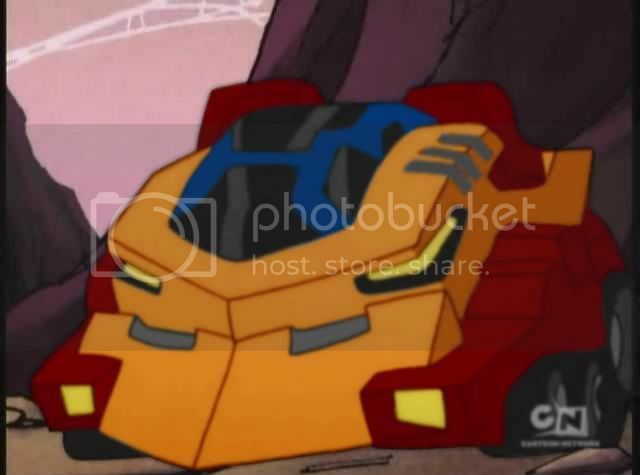 Also kinda looks like an Animated Wheelimus Prime in a way, imo. I might do the bot-mode, but I'll probably put him in Motormaster colors first, as I'm also curious as to how he would look in those colors. Thanks for looking. Wow, he looks like a vehicle version of a Predacon just a'waitin' to pounce. He's an Engine from Go-onger! Looks like a head of a monster.